Winnipeg Model Railroad Club: It's Clinic Carnival time at the Winnipeg Model Railroad Club's December meeting! It's Clinic Carnival time at the Winnipeg Model Railroad Club's December meeting! 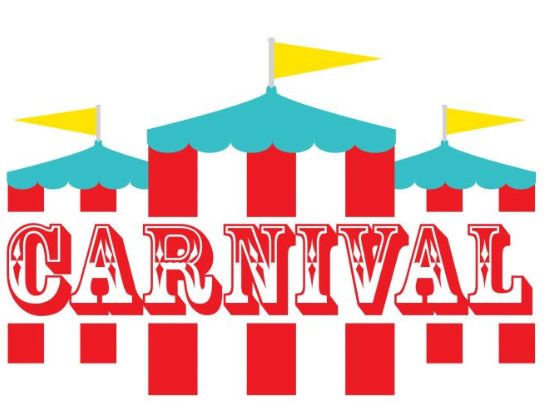 Step right up for the annual “Clinic Carnival” at the WMRC! We have five clinics set up for all to enjoy. Here is your opportunity to see what some of Winnipeg's best model railroaders have been working on and a great chance learn how they do it! Virginia Braun – Virginia is a very talented modeller who will showcase some of her structure and scenery work and talk about the tools and materials that she uses. Richard Mikolayenko – Scratch building and Old Market Square structure from photos and triangulation. Richard is an experienced modeller who will showcase his techniques as he works to replicate a historic Winnipeg building. Neil Carlton - “Painting undecorated HO figurines for fun and financial savings" Every model railroad needs people and Neil will explain how to populate a scene without breaking your bank account. Christopher Robinson - “Modules” Every model railroader can make a module. Whether it be a portable section of a home layout or for a portable modular model railroad, modules give us a unique way to participate in the hobby. John Bate - “Using Servos as inexpensive switch machines”. John will demonstrate how you can utilize inexpensive servo motors as switch machines. Servos are rapidly becoming as a means of controlling switches, signals and applications requiring animation on model railroads. But wait! There's more! We're also holding our annual Christmas banquet! Enjoy a hearty meal of hot dogs, chips and pop as you enjoy the Clinic Carnival! The fun begins on Friday, December 14, at 7:30 in the Tank Room at the Charleswood Legion, 6003 Roblin Boulevard. Guests are always warmly welcomed!